The only thing more stunning than WhatsApp's $19 billion price tag is the incredible journey of the messaging app's CEO Jan Koum. Koum was raised in Ukraine, immigrating in the early 1990s to the United States when he was a teenager. Living on welfare and food stamps, telephone calls back home to Ukraine proved to be a daunting expense. Eventually, Skype -- now owned by Microsoft (MSFT) -- changed all that, dramatically reducing the price of international calls. Kuom set out to do the same for text messaging on mobile phones. By his own account, Koum "barely graduated" high school in Mission Viejo, California. He went on to study at San Jose State University, but dropped out. Koum worked at Ernst & Young as a security tester and later became a security and operations engineer at Yahoo (YHOO). In 2009, he founded WhatsApp, a service that has amassed 450 million users in four-plus years and is growing its user base by 1 million people a day. Despite creating such a wild success, Kuom has shied away from the spotlight. He passes up television appearances and rarely gives interviews. His prestigious CEO title isn't even listed on his social media accounts. On his LinkedIn (LNKD) profile he lists himself as WhatsApps's "QA Tester." He previously said he was the company's "Sr. Tweet Manager." 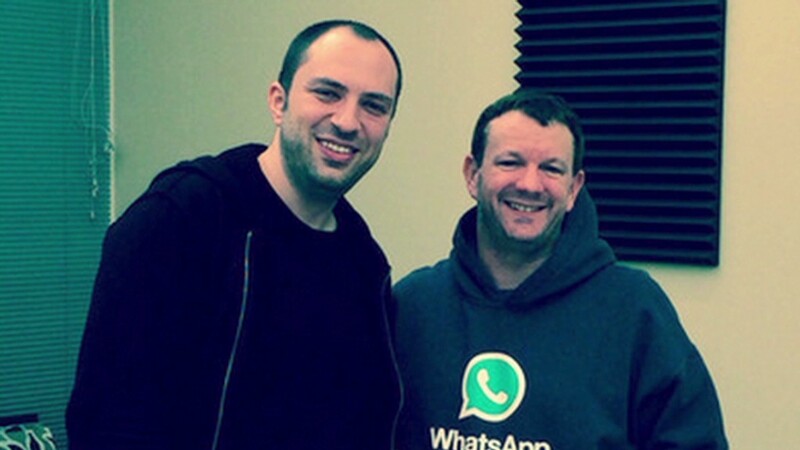 Koum owns 45% of WhatsApp, according to Forbes. That means when the deal closes with Facebook (FB), his net worth could be close to $7 billion. Yet Koum remains grounded and is proud of his Ukrainian roots. He recently tweeted: "Praying for peace and quick resolution to the crisis #ukraine #freedom."